How do you pick the right "Locksmith Near Me"? Before you go to Google and type in "Locksmith near me" and click on the first ad for a locksmith that pops up, make sure you ask them this question before inviting them into your home or business. Our company is full licensed and insured and in compliance with the law proudly display our pocket card so you know you are in safe hands. 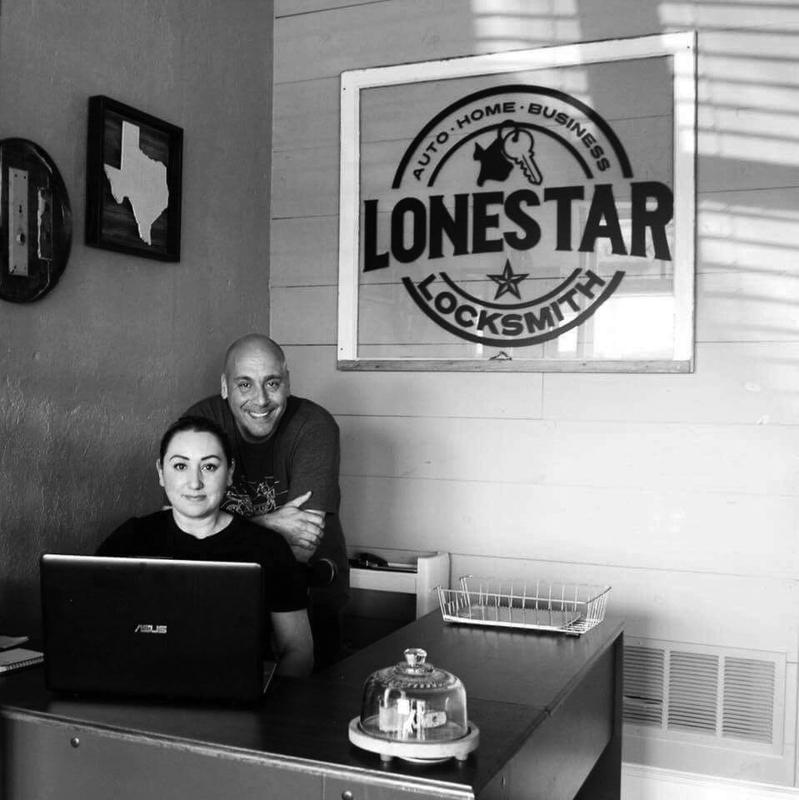 Located in Beautiful Downtown Van Alstyne, Lone Star Locksmith is a Family owned Locksmith Company proudly serving Collin and Grayson Counties. We specialize in Residential, Commercial and Auto Services. Licensed and Insured and dedicated in providing our customers with excellent service at a reasonable price. Our vision is to help our surrounding communities with our services, offering great prices from a familiar face. We are also part of this community and know in our small towns it is important to keep business local. 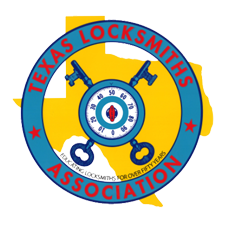 We are proud members of the Chamber of Commerce of Anna TX and Van Alstyne TX, and members of the Texas Locksmith Association. We proudly serve Grayson and Collin County and neighboring areas. Seriously these guys are life savers!! Lost my car keys on new years and they were able to get me a key for it in no time! Very easy to talk to and reasonably priced! most definitely keeping them on speed dial. Thank you! Great local company with prices that beat competitors. They have great customer service backed with a friendly staff. HIGHLY RECOMMEND!!!! As much as you hate to have to call make sure you call them. Jacob was very helpful, informative and competitive when I bought my new house in TX. We had some time constraints and he made a point of accommodating us. He advised best combination of coded entry devices and re keying existing entry. He helped us remain economical and got right over to complete the installation. I RECOMMEND HIM HIGHLY. We were pleasantly surprised with the quick response time and were provided with outstanding service. Extremely professional and helpful. Very honest and trustworthy. Will definitely keep this contact for any future issues! Thank you very much! Great job installing deadbolts, locks on all entrances and rekeying them all. Very cleanly done. Loved the prompt response, timely arrival and completion of job. Very reasonable rates. Would definitely recommend using their services. This is the third time I’ve used Lone Star Locksmith and let me tell you this company is awesome. I locked myself out of my house this chilly morning and they got to my house in 15 minutes and opened the door within seconds. Which I really appreciated it’s no fun being locked out with a toddler. Thank you for your quick service and reasonable prices! Your phone number is for sure saved in my phone. Highly recommended locksmith in Anna Texas. First time I’ve ever done business with them and they are wonderful! They went out of their way to pick up a key fob for me 20 miles away from where my car was, brought it back and programmed it! They definitely didn’t have to go all the way to the dealership to pick up my fob but they did. They made me feel confident in the process as they had me back on the road in no time. Thank you again Lone Star Locksmith!! Definitely the most amazing locksmith ever. Accidentally locked keys in my truck while at the store. They were on the spot within fifteen minutes of me calling and had me back in the truck within twenty. Thank you for your help. Very prompt service. Friendly and FAST! Got us back in the house and even took a look at our lock that was malfunctioning. Would recommend to all, and will gladly use them again if faced with forgetting my keys! Very fast! Was advised 25 minutes and they were out in about 15 minutes! Very courteous and quick. I will definitely use them again and they offer lock changing services for your home! Definitely reccomend them! Jacob and Monique were amazing! They are super responsive, more than reasonable with their price, quick to arrive, and they stay in communication the entire time. JACOB AND MONIQUE ARE WHO YOU NEED TO CALL WHEN YOU NEED A LOCKSMITH!!! I can't say enough good things about this company. They were fast and efficient and did a fabulous job. They are also fair in pricing and really helped me out in a bind. Thank you so much. My family was in need of extra locks for our home, I found alone Star Locksmith, they were close to our home, call was answered by a lady who was very professional. I asked if someone could stop by my house at 11am to look at what we might need. Line Star came out first thing, on time, gave my wife and I a quote, and we accepted the job, needless to say the work was completed within 2 hours on time ,clean and the work was amazing! I will highly recommend and refer all of our friends to Lone Star Locksmith! Very good and fast service. Cheap and reasonable prices!!! I 100% recommend to anyone in need of their services. They were fast in arriving and getting the job done! Polite and professional and thanked me for my business. Will definitely call in the future! Jacob and Monique were absolutely wonderful. They came out to change all the locks in my house. They were pleasant, friendly and helpful. A++. I highly recommend Lone Star Locksmith. Lone Star Locksmith is fast and dependable. I needed to rekey my house on a Saturday. I called and within an hour and half, their service guy was at my home. He not only rekeyed, but he identified some issues door strips and fixed them at a reasonable price. He wore protective gears over his shoes to avoid tracking dirt over my floor. I appreciated that. I will use Lone Star Locksmith again and recommend them highly. Lone Star Locksmith got be back into my house after being locked out. I stepped outside for one second to throw trash out and the wind blew my door shut. I didn’t have an extra key to get in and had to go to my neighbors to use their phone not to mention it was so cold. They were at my house in 20 minutes and Jacob was super friendly. Great prices and great service. Lone Star Locksmiths phone number is now in my contacts for anything I get myself into. Do you have family you love but don’t trust? All locks changed and/or repaired within the hour. Prompt, courteous and skilled. I’ll use them again (if necessary)! Jacob came out quickly and re-keyed my auto in no time! He was very professional and friendly. My key was not in inventory the first night he came out, so he made a key that would get my car going. Jacob came by the next day once he had the correct key. Took about 15 minutes to program the new key and get me back to full function. Looooved the kindness and professionalism. Will definitely recommend and return if needed!!! 5 stars and high five!!! Thank you thank you thank you!!! Gave him a call , he was here quickly. Opened a door we havent used since we bought our building. Was able to rebuild the lock instead of replacing the entire lock saving me about a hundred dollars. Thank you Jacob for your expertise and your courtesy. I contacted Lonestar Locksmith in order to gain access to an abandoned house I owned. They arrived early from the scheduled appointment. They were informative, friendly, and affordable. The new keys have worked flawlessly, and I will always contact them as my first and only choice in the future. Highly recommended ! Very professional. Job was done quickly and as described. The locksmiths were friendly and helpful both on the phone to schedule an appointment and in person. Would recommend to a friend. Jacob and Monique were awesome to work with. We just moved to town and locked ourselves out of our new place. I called Lone Star Locksmith and we were back in our house less than 45 mins from making the call!! Jacob was kind and courteous and explained exactly what he was doing and pricing before doing anything...prices were great and made my husband forget he was irritated I locked us out! Highly recommend and they will be our go to for all our keying and locksmith needs! I called quite a few places in the McKinney Celina, Anna, and Weston area , None were willing to travel to Our Ranch. Lonestar were very polite on the phone, came very promptly and were able to fix my issues on the spot . I had a horse trailer that needed locks replaced , and a specialty car ignition key that they were able to cut and code right there . The price was extremely reasonable and they were so nice to me . I will highly recommend to all my neighbors .